Spinach With Lentils - This dish is creamy ,nutritious and delicious to have with rice . Spinach combines well with lentils and the real flavour of this recipe is in the grinding part. Pressure cook thuvar dal with a garlic and turmeric powder. Heat oil in a pan,and fry the coriander seeds until they turn dark, then add the red chillies and fry for a min. Finally add the coconut, reduce the heat and stir it for a couple of mins. Remove from heat, allow it to cool and whizz in a blender along with few tablespoons of water until you get a smooth paste. Now mix this along with the cooked lentils and keep it aside. Heat oil in a pan, add the cumin seeds when they turn dark,add the chopped onions and fry until they turn soft . Add the spinach and stir it for a couple of mins. sprinkle little water, cover and cook for few secs. When the spinach gets cooked add the lentils along with salt.Reduce the flame and cook for few more mins. Finally temper with the seasoning ingredients. Serve it hot with rice and enjoy. Nice design work, kootu looks very yummy! Yummy kootu and an all time favorite! 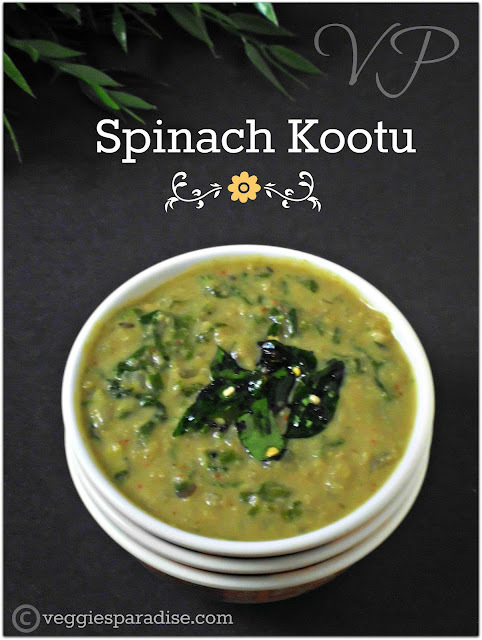 delicious spinach kuddu, my fav.. nice recipe aruna. Thanks for dropping by at my space...this kootu looks super.glad to follow u too. 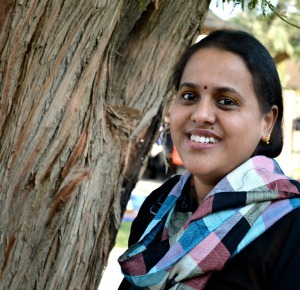 My all time favorite kootu. 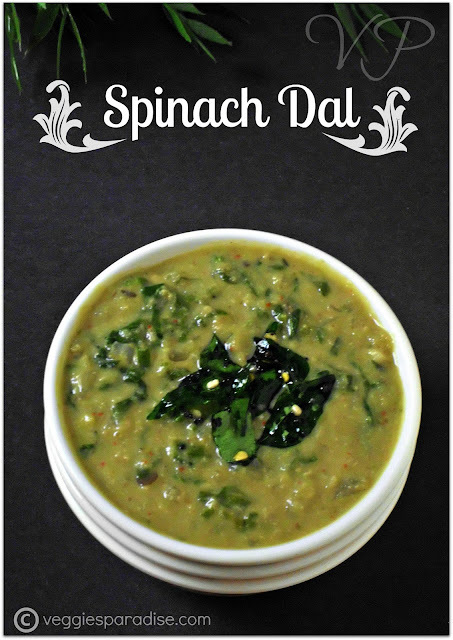 Spinach dal is my hubby's favorite, looks delicious, nice clicks. Wow, that looks superb. You should send it to my MLLA. Super comforting dal !! love with chapatis !! Healthy n yummy curry, looks tempting!! 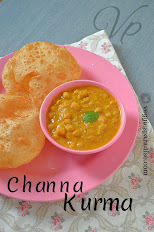 Healthy and delicious daal..nice combo..lovely clicks..
mmm. my fav. dish. looks so delicious.